Is this a breach of the Animal Welfare Act 1985? You be the judge. 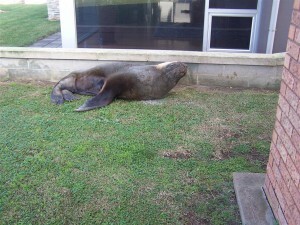 An adult male Australian sea lion weighing in at over 100kg and one of the world’s rarest seals is shot by a Department for Environment Water and Natural Resources (DEWNR) – National Parks Officers with a .22 CALIBER RIFLE and is then able to “flee” back to the ocean’s high tide line! DEWNR Officers once again refused to make the call to AMWRRO for assistance, instead, take to an animal weighing over 100kg with a .22 caliber rifle that is used to shoot animals the size of rabbits! Is this a breach of the Animal Welfare Act 1985 – the same Act DEWNR is also responsible for implementing on ground; you be the judge! 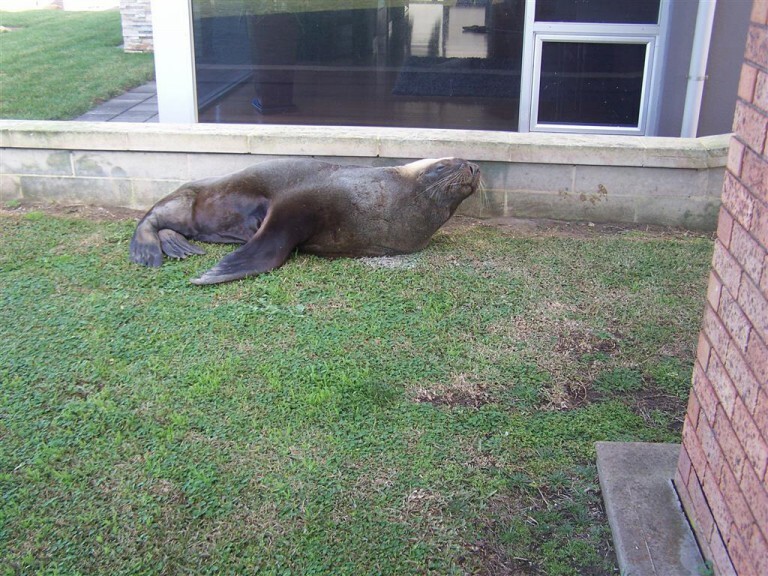 This Australian sea lion was found sleeping on a resident’s front lawn in the Port MacDonnell Township. AMWRRO was contacted for advice and images were sent to AMWRRO as requested. AMWRRO officials explained to the caller that these animals will often find quiet places to sleep for several days before heading back to the ocean to feed. It was explained that the animal looked somewhat thin but by no means emaciated (going by the images that were sent to us). AMWRRO contacted DEWNR Officers in the region and requested they attend and confirm the animal was in good health and if not, to contact AMWRRO if the animal required any assistance. Word soon got out in the town and within an hour many locals went to see the animal for themselves, some of which took a few photos before leaving the animal to rest. Several hours later AMWRRO received the terrible news that was witnessed by a shocked local who watched from a distance while the DEWNR – National Parks Officers approached the large male and shot him in the back of the head with a .22 caliber rifle! 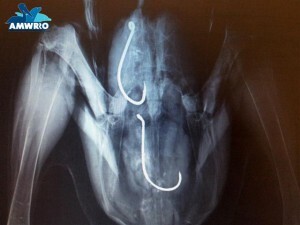 Once shot the animal started “running” towards the ocean whist in pursuit by the National Parks Officers. Now realizing the animal could most definitely reach the ocean before dying the National Parks Officer contacted Police for much needed assistance. The animal having already been shot once now waited approximately 45 minutes in extreme pain before being shot two more times with an appropriately powered firearm that ultimately ended his life. This all taking place within meters of the animal swimming off and dying an extremely slow and painful death by bleeding out in the ocean. AMWRRO never received a call back by DEWNR Officers once they had inspected the animals’ condition as initially requested. 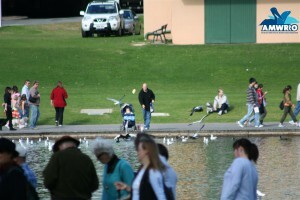 When questioning a DEWNR Director about this incident recently the subject was soon changed and AMWRRO’s concerns disregarded.